For the March 23, 2011 Speed Networking Event, sponsored by the International Special Events Society of Los Angeles, I was invited as the "showcase company" where I photographed the majority of the event and then participated in the speed networking part of the evening. ISES regularly holds events for "event professionals" where we gather together to network and become educated on the latest trends in the industry and in ways to improve our individual businesses. During this speed networking event I gathered many business cards and spoke with a variety of event specialists with whom I then contacted in order to continue growing our relationships. Click HERE to see some of the photographs that I took throughout the evening. 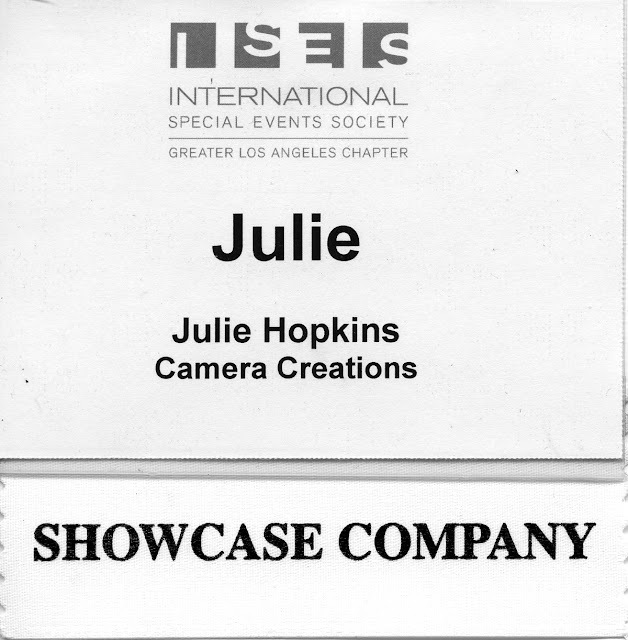 Camera Creations as "showcase company" at ISES "speed networking meeting"